It may be 90 degrees in NYC but those of us in fashion and the home furnishings industries are thinking Autumn/Winter 2019-20! 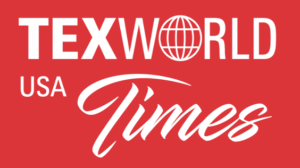 TEXWORLD USA July 23 – 25 at the Javits Center in NYC is the largest sourcing event on the East Coast hosting apparel and decor designers, fabric buyers and merchandisers for three days of global sourcing and industry expert-led events. You can register for the show here and explore all the seminars and workshops. 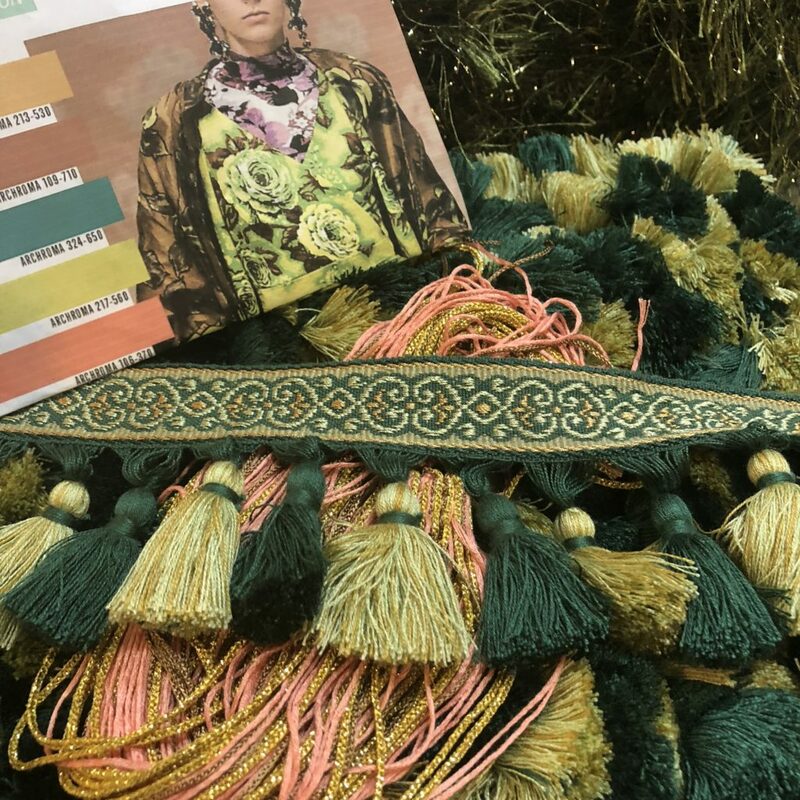 This year I am thrilled to be creating the opening Trim-Activation vignette, along with a hands-on embellishment workshop, a trend seminar and “Explore the Floor” tour. Here’s our Trim Queen schedule, join us at the show! 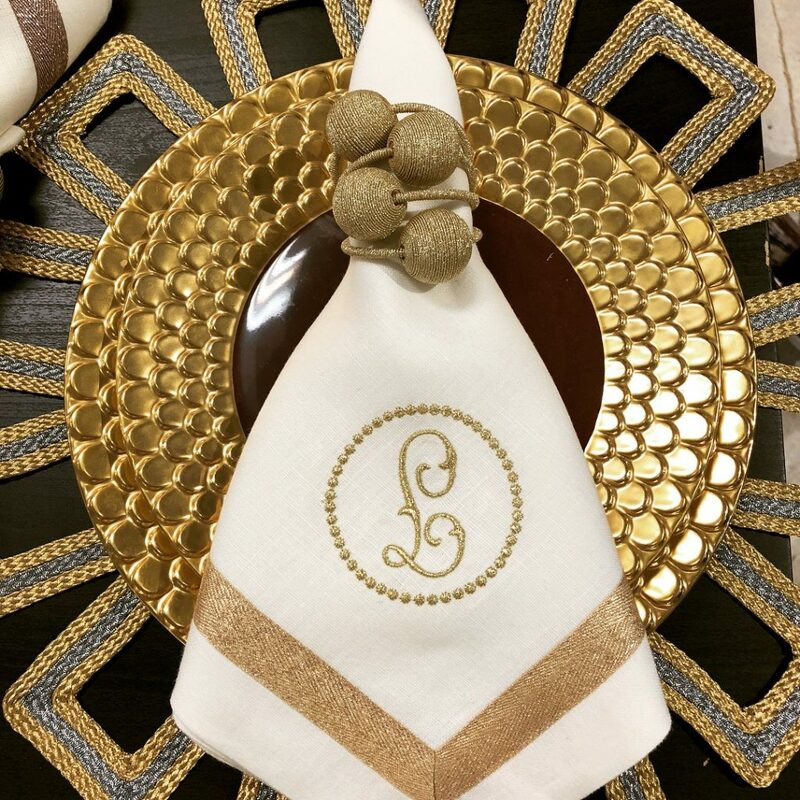 Monday 7/23 2pm – Elevate with Embellishment Workshop – Seating is Limited! Have you been following our display progress on Instagram>> #TQxTW?? 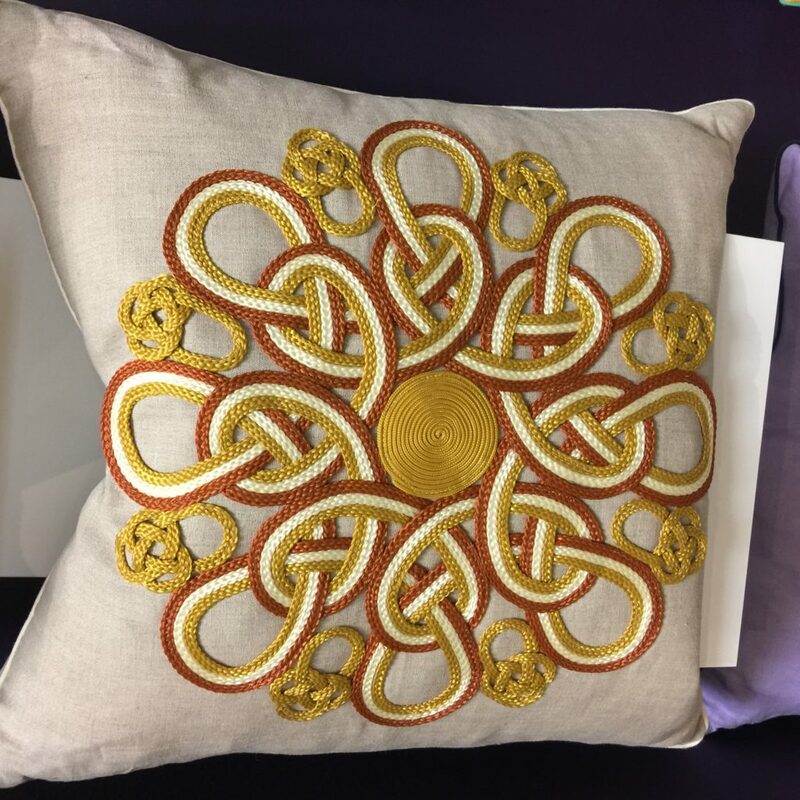 You will be able to win a #TrimAlchemy pillow, stay tuned for the big reveal with a customized peacock sculpture created with textiles and trimmings, woohoo! Team TQ visited the most recent show in January for the first time and I was struck by not only the 500+ global vendor exhibitors but also by the valuable intel the show shares with attendees regarding trend forecasting, start-up strategies and many other seminars. I had the pleasure of connecting w Jennifer Bacon, Show Director, and asked her all about what’s new this edition of the show. How has the show evolved? The show has evolved in the last few years with a significant increase in the number of educational offerings including the new ‘Textile Talks’ series which cover a range of topics including fashion law, Internet marketing, color trends and sustainability. In addition to new seminars and panels, ‘Explore the Floor’ tours have been introduced which allow attendees to intimately tour the show floor with industry experts. The amount of exhibitors has also grown to over 800 specializing in 15 different product categories. These exhibitors are now vetted and approved by an outside selection panel to ensure we are presenting quality mills and manufacturers to the buyers. What is unique or new about the show in July? The summer edition will feature a SPOTLIGHT area focused on ‘The Art of Customization: Findings, Trims & Accessories’. 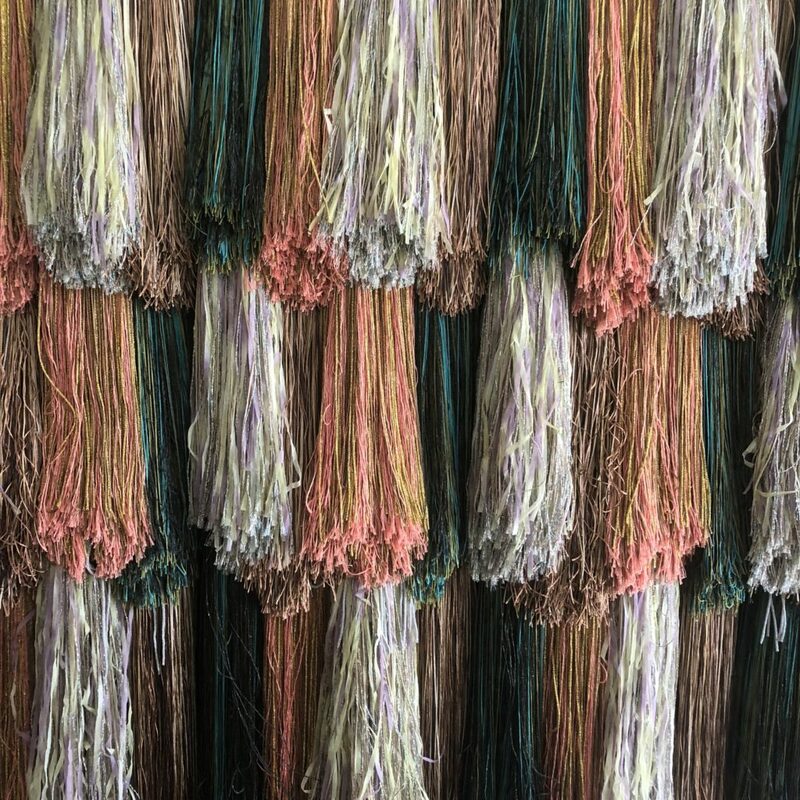 Make-and-take workshops will center around teaching participants how to create passementerie including pom-poms, decorative knots and tassels for participants. That’s why we tapped you Trim Queen! One of my favorite intros last show was to trend forecaster Sharon Graubard of Mint Moda. In fact, I turned to Sharon’s expertise for a color palette for our Trim Activation vignette. She shared one of her trends called “Faux Couture” that helped complete our concept. “Faux Couture” is about the things that make couture so special and desirable — the handwork, the surprising details, the attention to time-honored craft, and presenting them as democratic elements to be enjoyed by everyone, everyday. 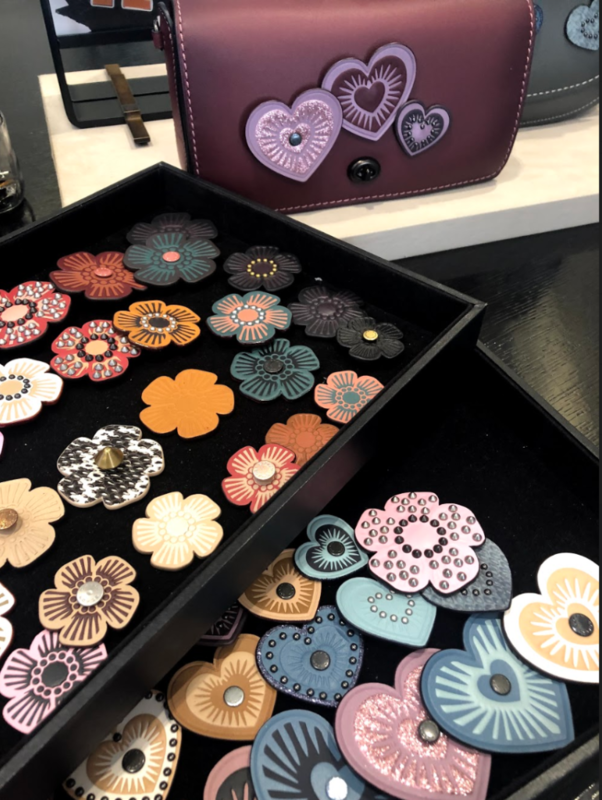 If you think about it, even mass-produced tassels, machine-made buttons or 3-D printed sequins are handmade; all conceived of and touched by people along the way. Trims bring luxury and individuality to any piece — key values for today. Q: As a trim embellishment expert, why trims? 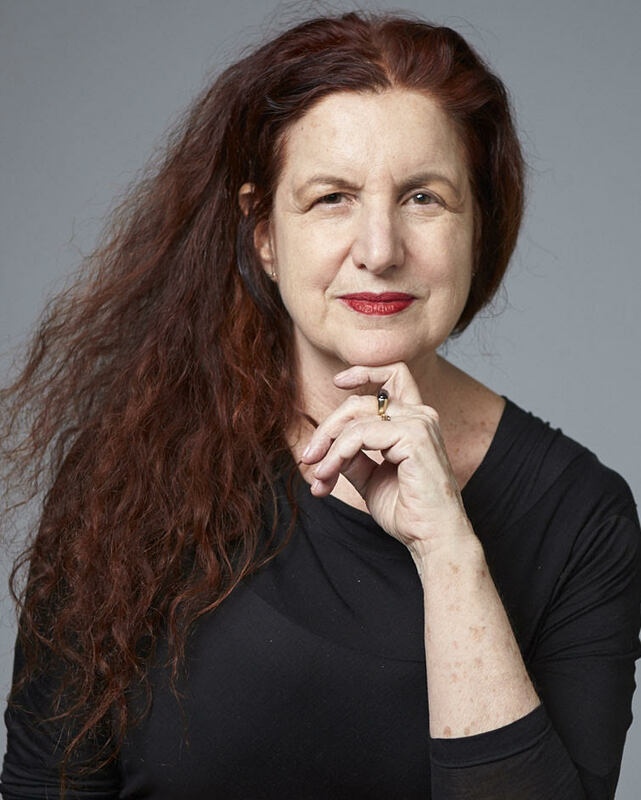 A: I started my career in fashion at a trimmings factory in the garment center working with Italian artisans creating Chanel-style edging for suits, custom braided belts, passementerie buttons and tassels. I was amazed by the idea of transforming the style of a garment with embellishment, adding design by applying decorative trimmings. It was clearly integral to the expression of the designer. 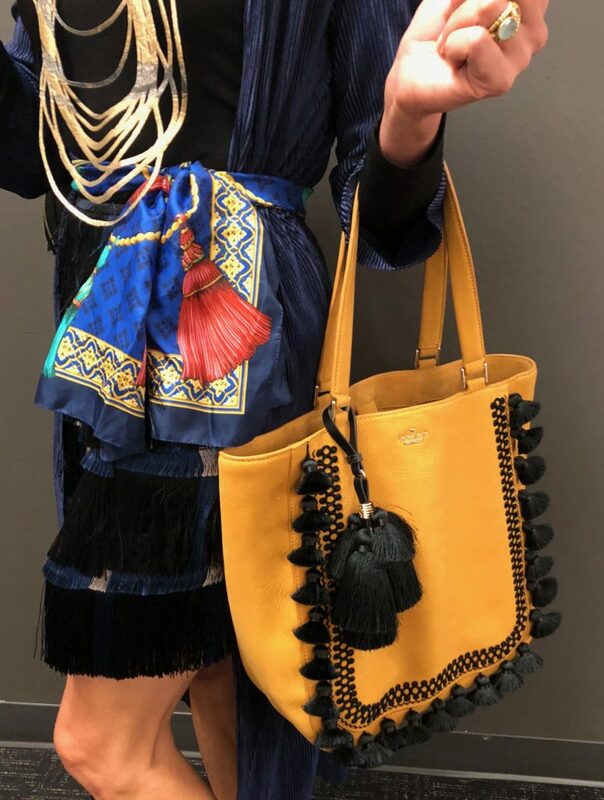 Trimmings have a lot of personalities and give dimension to a design, consider the pop of a tassel added to a drawstring, as a fob of a handbag, fringe at the hem of your jeans. Trimmings are details that make something seem more “designer”. 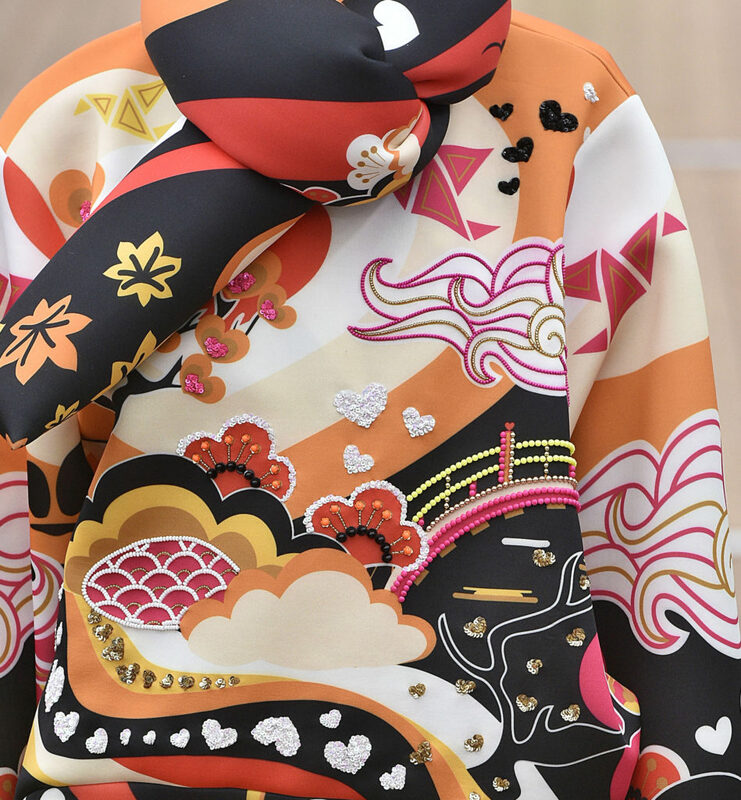 Dries Van Noten’s use of ribbon is an artful interpretation of historic military uniforms. Distressed ruffled jeans with added vintage silk ribbon from East Coast Trimming. Q:What designers today do you see doing great things with trims, accessories, findings etc.? 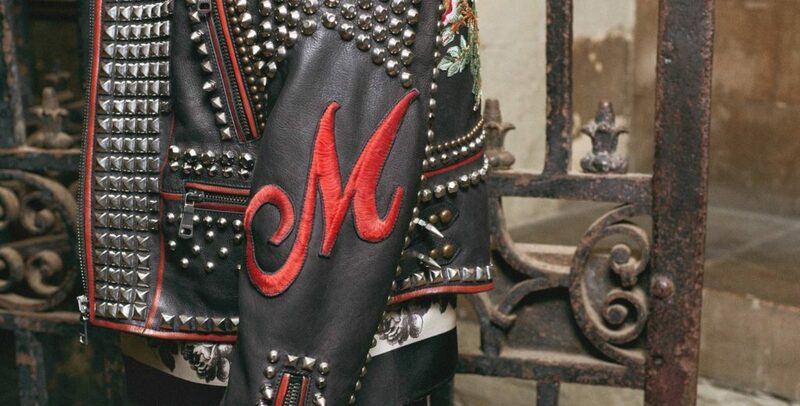 A: Alessandro Michele really championed the idea of personalization of fashion as self-expression. 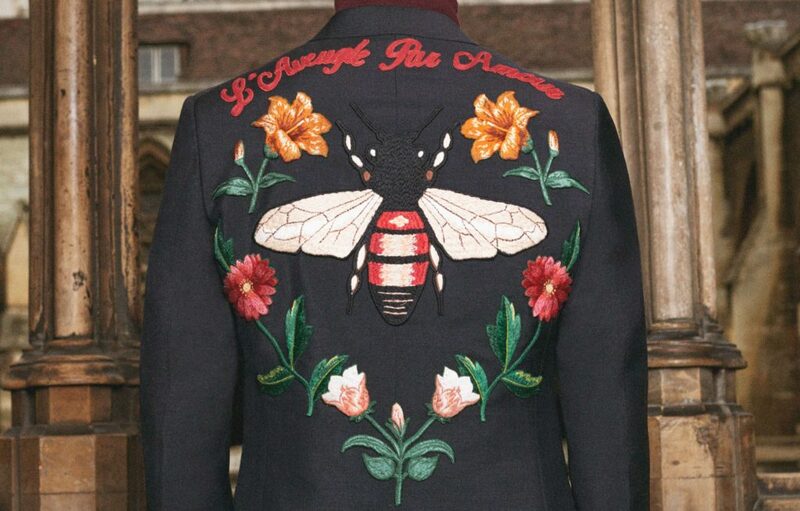 At Gucci, you can add appliques of a bee, a daggered heart or a king snake to handbags, sneakers, and bombers and even choose the silk lining for a jacket. 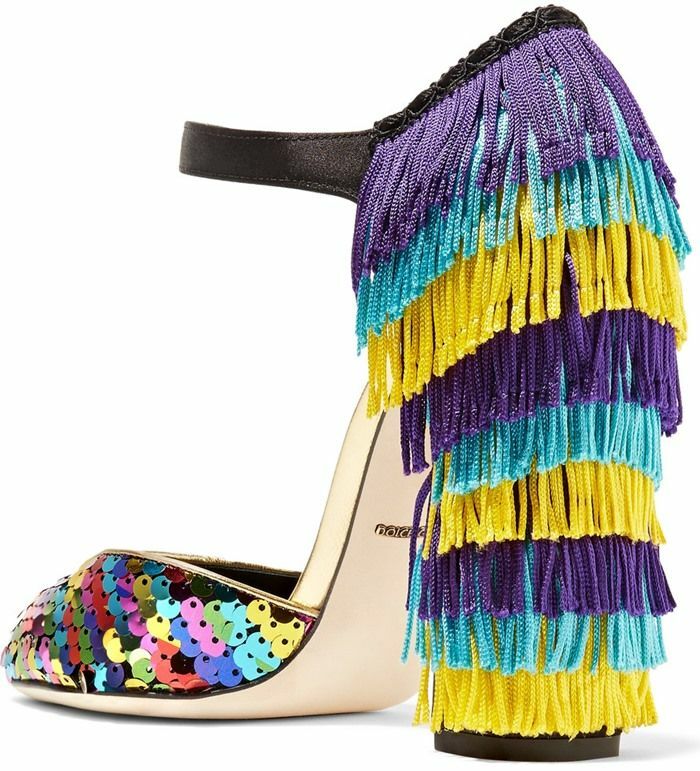 My all-time favorite is Dolce & Gabbana, they understand passementerie – the art of turning braid by hand, and even create a pattern that looks so modern, with applied trimmings. 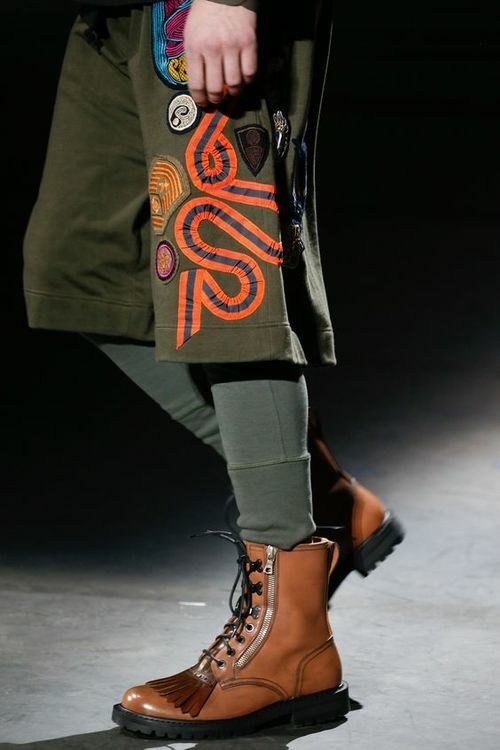 Details at Dolce Gabbana, officer braid applied as passementerie. Locally, the Griggs Brothas set up their concept shop in Opening Ceremony customizing EVERYTHING. 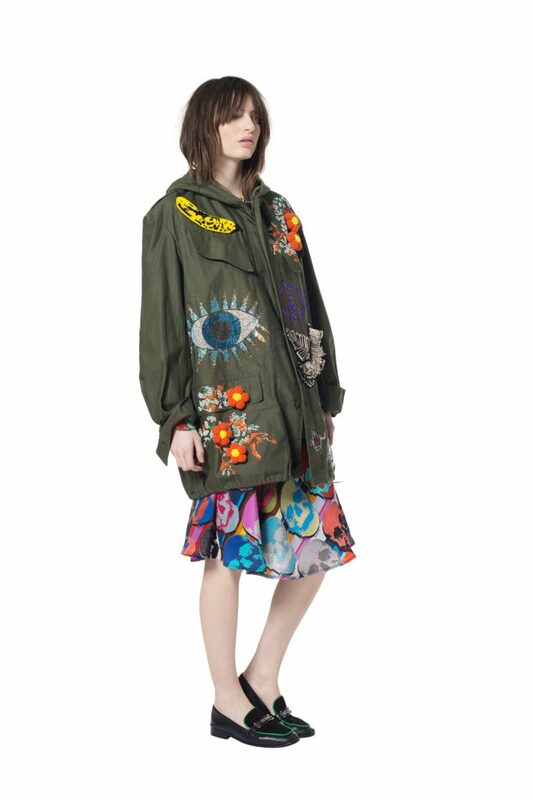 They also recently collaborated with Doc Martens. They exude creativity fueled by their motto which they named their brand LFANT. Johnson Hartig’s Libertine was one of the first to marry modern mixed material in apparel using signature graphics in screen printing and embroidery. Coach recently launched a Coach Create – a customization program that’s like specifying finishes of a new car! 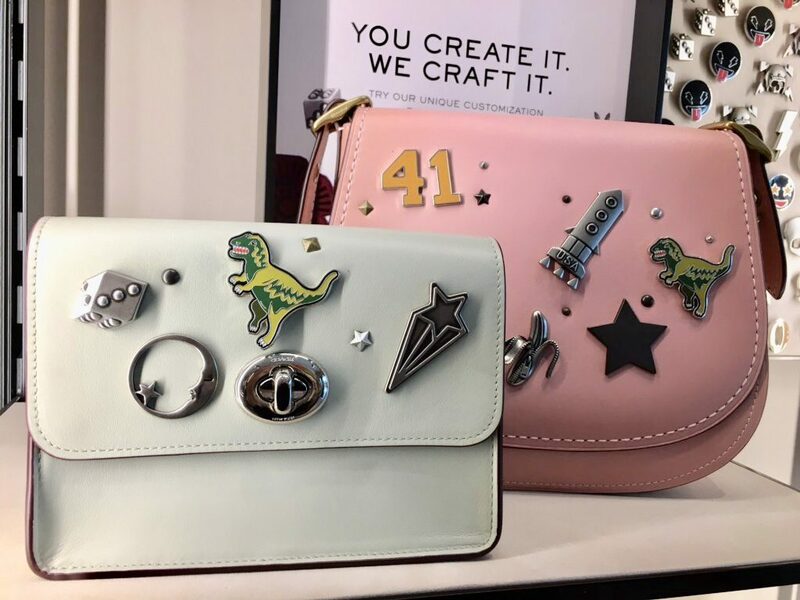 You can choose the leather, custom strap, rivets, add metal pins, patches, bag charms and finish off with a personal monogram. Julian Mejia Design uses braid to create forms of passementerie for home décor. Q: What is your favorite trim and why? 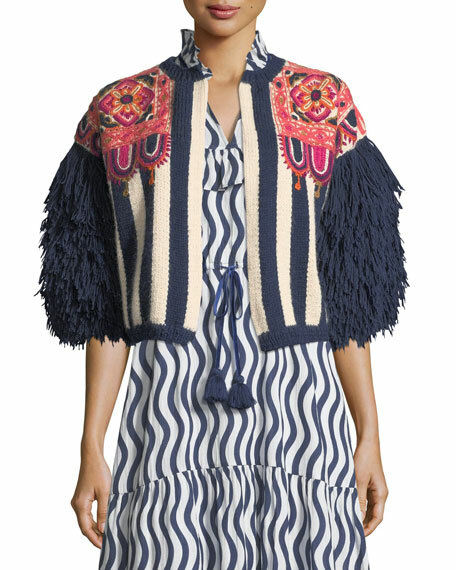 A: I LOVE fringe, long fringe, short fringe, caterpillar fringe….fringe in any yarn combo. 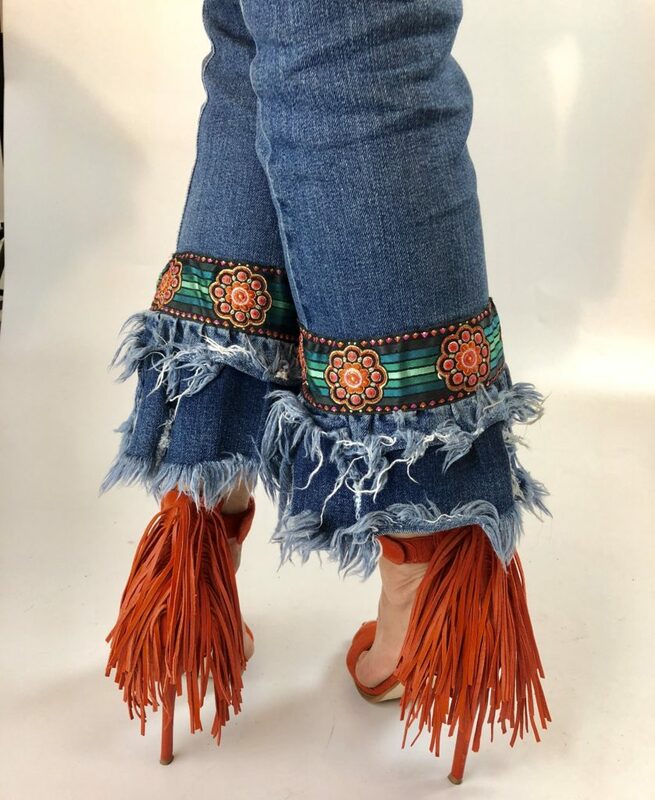 At the base of some jeans, down the side leg, embroidered into shapes, on dresses, draperies, on furniture…fringe adds instant style that can go boho or elegant. Interior designer Justine Sterling customizes fringe for a room vignette. Lorenza Bozzoli’s fringed poufs were the rage at Salone de Mobile in Milan. 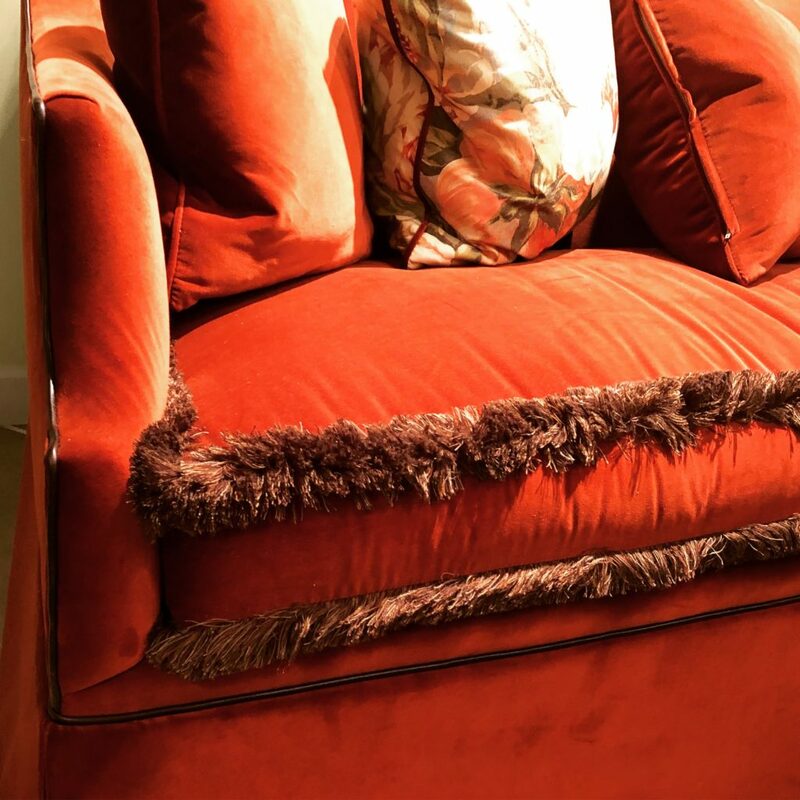 Fringe used as welting on this sofa by Corey Damen Jenkins for Leathercraft. 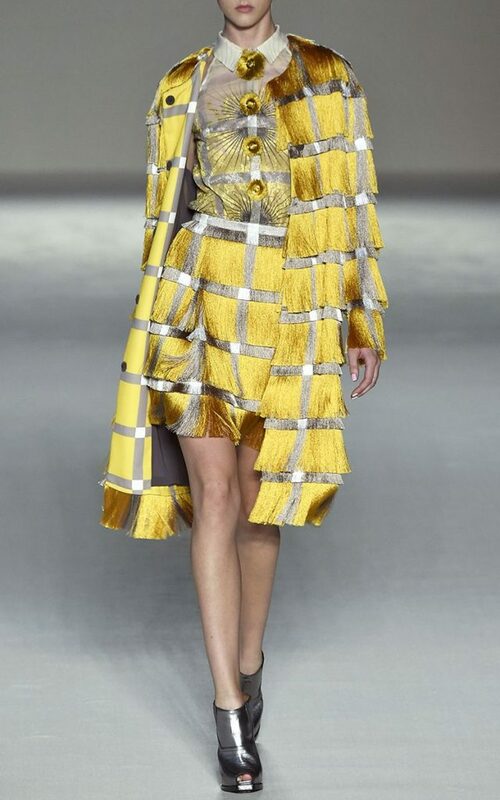 Marco de Vincenzo applies fringe as a textile. Q: Would you say that customization is important to consumers? A: Customization has always been important to consumers. Look at the history of monogramming of jewelry. Then it evolved to monogramming EVERYTHING from sweatshirts, tote bags to bedding. It is a way that designers can further give consumers what they want which is to BE THE DESIGNER. I don’t see this trend fading anytime soon; as it becomes easier to personalize products, more people will want to express themselves as a sign of creative status. One of the coolest things that happens when you participate in shows is making connections and new FRINGE FRIENDS. Meet Veronica Apsan and founder of Fashion Television. 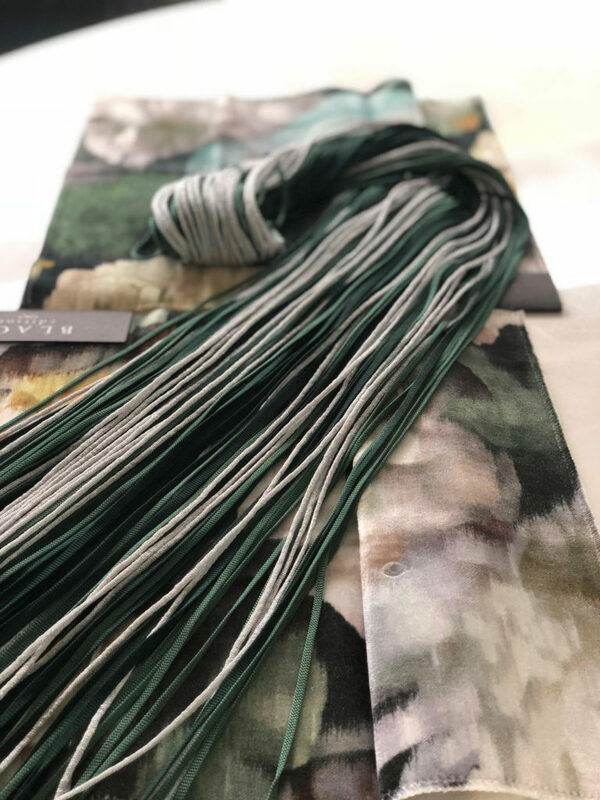 Veronica, a recent lauded FIT grad, is developing textiles infused with essential oils promoting wellness as the new luxury. Fringe Friends, I hope to see you at the show. Whether you come for sourcing or for the educational seminars and workshops, you will leave professionally enriched and embellished.